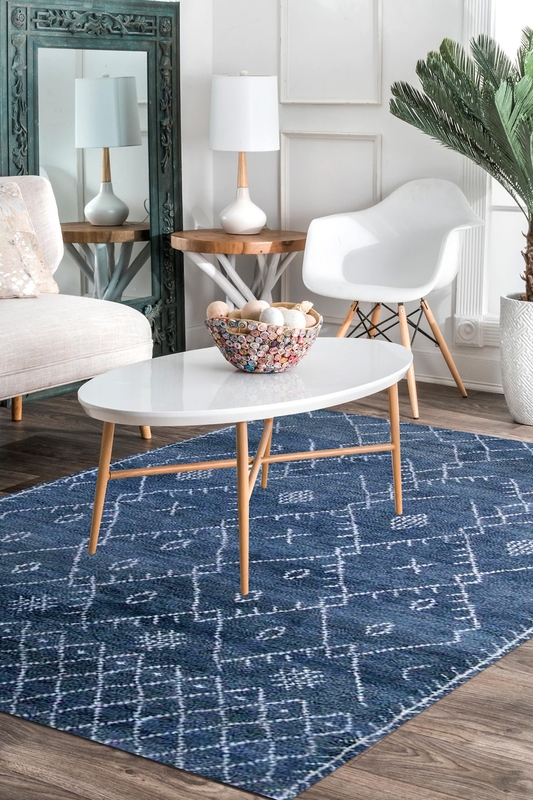 Give a calm and modern touch to your contemporary home décor by adding this beautiful indigo hand-knotted Moroccan carpet. The design of this carpet is inspired by traditional Moroccan design and modified according to modern décor. This is highly durable and 100% hand-washable rug. The fashionable Moroccan or marble tile will look more beautiful and fresh in this Blue Denim rug with white patterning on a dark indigo texture. This is handcrafted on a handloom and this hand-knotted rug is crafted with a soft pile of plush comfort underfoot. It contains a geometrical diamond pattern which you can use with any type of furniture.